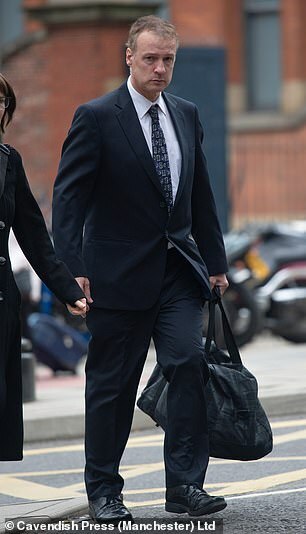 A judge spectacularly refused to jail a teacher who drove an airport official off on his bonnet in a row over a £3 'dropping off' fee after he deemed the charges an 'absolute disgrace'. 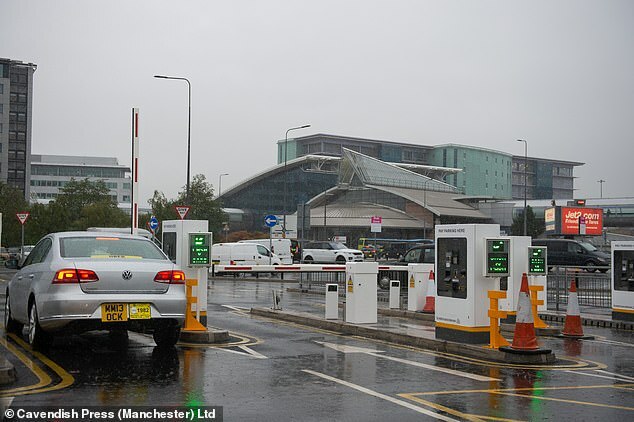 Graham Benbow, 55, attempted to drive through an open barrier at Manchester Airport after being told he would have to pay £3 for dropping off a passenger. The official tried to stop him but ended up on the bonnet of Benbow's Mazda 3 hatchback car and was carried along the road for several hundred yards. During the hearing, Judge Bernard Lever said Benbow was 'fortunate' that he himself had experienced the airport charges. At Minshull Street Crown Court in Manchester, Benbow, of Stockton Heath, was given a six-month suspended sentence as he admitted dangerous driving. In sentencing, the judge said: 'Although it is no excuse for dangerous driving, I think that it is an absolute disgrace that people cannot deliver people to airports without paying an extraordinary amount. 'The airport already does make a lot of money and does not need to charge £3 for people to drop people off. 'My sister warned me that by the time you have got to the front you are allowed just minutes or seconds and they start charging you more. 'I saw a troop of elderly people who had been dropped off away from the airport trying to avoid these unjust charges. 'You were not driving at a great speed but it is wrong to drive along the with someone of the bonnet of your car. Benbow, who works at Altrincham Grammar School for Girls, was in the drop off area at the airport when he encountered the official . Prosecutor Duncan Wilcock said: 'The complainant is a gentleman who is employed by the airport to explain the rules and to explain what steps should be taken with regards to the drop-off charges. 'Staff from the airport saw what had taken place and sent information via radio to the police. He went over a roundabout and stopped just before the M65 motorway. 'He pulled into the side of the road but when the officer tells him to pull his keys from the ignition he tried to reverse away from the officer. 'In a statement the complainant said he feared for his life during this incident and genuinely thought that he could die from falling off the bonnet. Benbow was banned from driving for 12 months and will have to retake his driving test after the disqualification period. 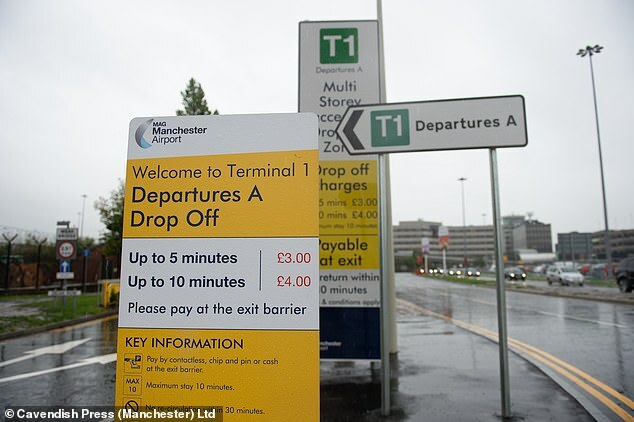 Under the new drop off charges drivers are charged £3 for five minutes or £4 for ten minutes to stop outside terminals and the railway station with anyone found 'circling' facing a £25 penalty. We are committed to ensuring our colleagues have a safe and secure working environment. That is why we condemn the reckless actions of the driver involved in this case, which could easily have had very serious consequences for one of our colleagues. Given the severity of this incident, we are deeply concerned by the outcome of the case, which we believe shows complete disregard for the ordeal suffered by a member of our staff. It is, in our view, irresponsible for someone in a position of authority to be sending this kind of message to road users about the consequences of dangerous driving. Anyone who has experienced an attack of this nature would be appalled by the Judge's comments and attitude towards determining a suitable punishment for criminal driving. Drop-off charges, which have been in place at airports across the UK for many years, have been proven to have a positive impact on congestion on our site, which makes it particularly disappointing the Judge’s comments have been made without an attempt to understand the reasons behind their introduction, the way in which they operate and the free alternatives available to passengers. Our immediate focus is on the welfare of the colleague who was the victim of this appalling incident, but we are considering our next steps in relation to the sentencing of the offender concerned. We will also be working closely with Greater Manchester Police to ensure any future incidents of criminal driving on our site will be dealt with as strictly as possible.